But unless a wolf, a coyote, and a fox are all sitting together on your train, (not likely), comparing their sizes is not going to work. Color? well, no. 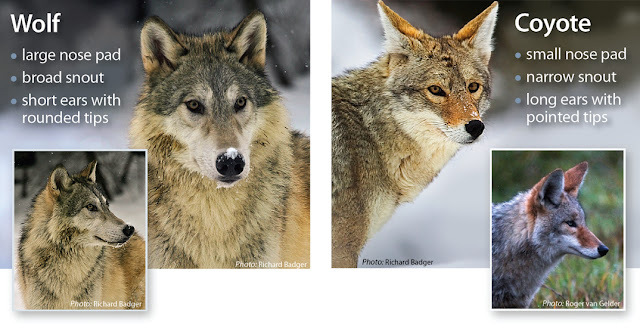 Coloring of the three animals can look very similar, so that's not good either. Okay, ears. That's a good start, because coyote and fox ears are fairly large and pointy. But wolf ears are smaller and have rounded tips. And snouts? Yes! 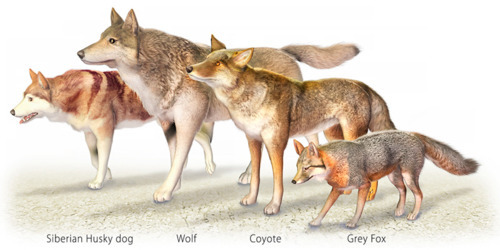 Coyotes and foxes have narrow snouts, wolves' snouts are broad, like a dog's. Hmmm, slim snout and pointy ears. Whew! So it's not a wolf. Then it's got to be a coyote or fox. Now what? Eyes...are a dead giveaway. Did you know that the pupils in a fox's eye are slit like a cat's? 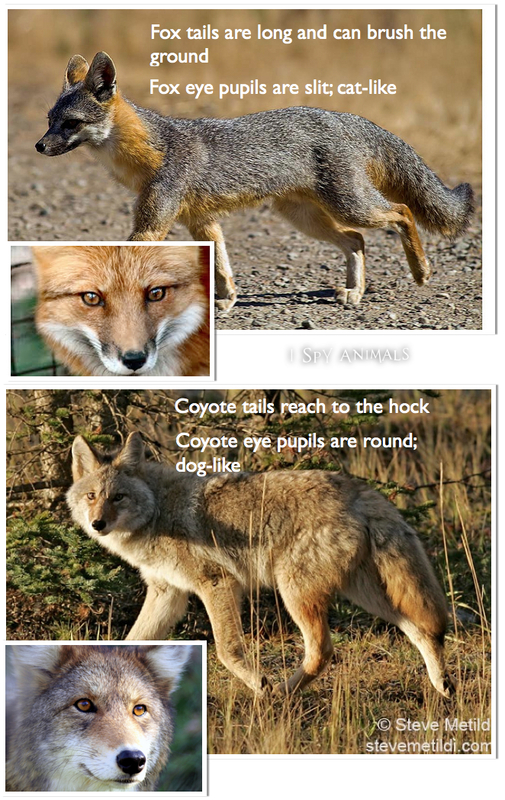 But coyotes have round pupils like a dog does. And tails! 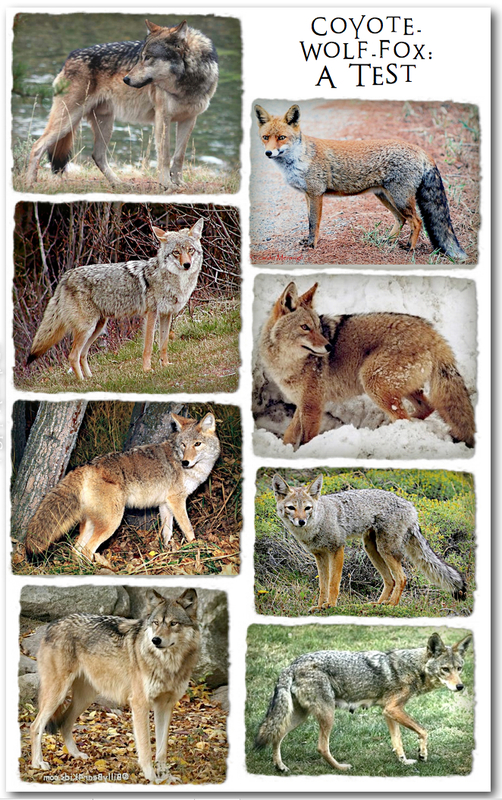 Fox tails are so long that they can drag on the ground, while coyote tails only reach their back hocks. Let's test these facts on our companion. The train photo doesn't reveal much about the eyes...but I think that tail is short, or it would be wrapped around the body more. 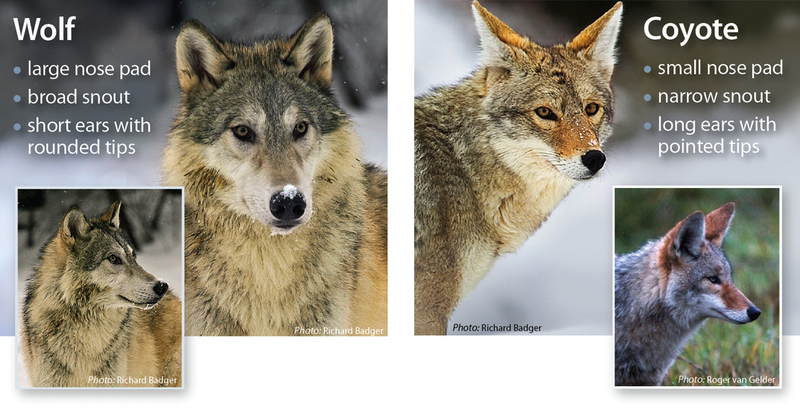 Also known as the Prairie wolf, and the American jackal, and even the Brush wolf. Whoa, lots of names for this clever guy. He lives almost everywhere in North America; even, as we've seen, in the cities. And now we know how to identify him! How was it? 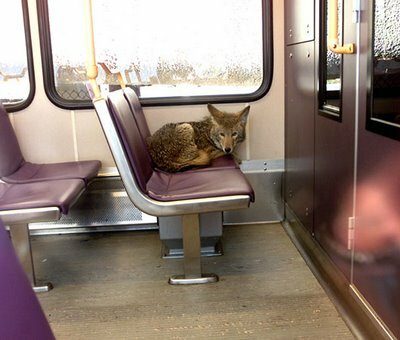 As scary as sitting next to a coyote on a train? If you did well, you could easily be certified to ride the trains in Portland without any negative affect. Congratulations! But now let me give you a little hint...if you ever see a bear curled on the train seat across the aisle from you, don't stop to identify. Just run! Not sure how I knew, but it was a coyote at first glance to me! I guess I've seen enough dead ones to know what they look like. This was a good post, though! I never would have noticed specific differences. Thank you so much. This was exactly what I was looking for! Well done.